"The Lego Movie 2" reunites the heroes of Bricksburg and takes place five years after the first movie. They face a new threat: Lego Duplo invaders from outer space, wrecking everything faster than they can rebuild. The battle to defeat them and restore harmony to the Lego universe will take Emmet (Chris Pratt), Lucy (Elizabeth Banks), Batman (Will Arnett) and their friends to faraway, unexplored and musical worlds. The Lego Movie 2: The Second Part was released on Cinema 74d ago in the US and the UK. Based on 21 The Lego Movie 2: The Second Part Cinema reviews, The Lego Movie 2: The Second Part gets an average Cinema review score of 70. The score for all versions is 70 based on a total of 21 reviews. This sequel brings back the characters, charm and creativity that made the first film a hit, all while inflaming the imagination. The Lego Movie 2: The Second Part is a vibrant, likable sequel that's just a little too ambitious for its own good. 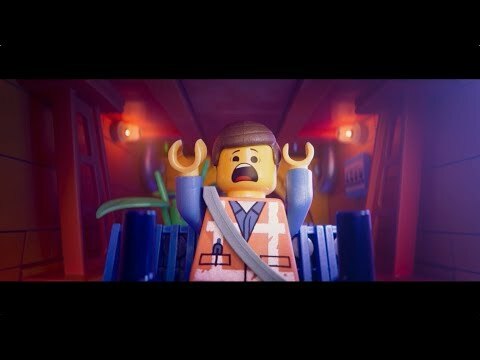 To put it another way: in The Lego Movie 2, “Everything Is Awesome” essentially sheds all menacing subtext and becomes a sincere mantra in a different costume. Mile-a-minute jokes aside, the sequel to the 2014 blockbuster seems a bit confused about its message, as two siblings disagree over how to play with Legos. Everything is still pretty dang awesome in this waggishly entertaining sequel to one of the most creative animated movies released in recent memory. The deconstruction of corporatized play culture gets run through the sequelizer machine, with predictably acrid results.